Can't attend? 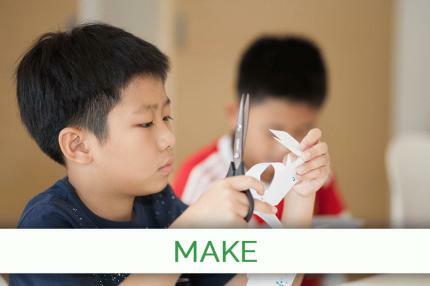 Follow Junior Maker Program - Free Trials [Pre-Launch Only] to know of future events! FREE trial classes for our early supporters! Let you kids experience a brand-new way of learning and be surprised at what our unique programs can do to energize your child's learning passion! This class features a specially-designed program of REFRESH+MAKE, so kids can experience the wonders of both class types. Practice simple multiplication up to 40 through interactive worksheets and self-guided activities. Finish with a game of strategy, where kids form teams and test their understanding of multiplication principles. Design and construct a multiplication wheel, using basic household materials. Kids learn simple hands-on craft techniques, while producing an educational tool for continued use at home! Further fun can be had be inventing your own multiplication game with family members!